There are some types of wood that burn hotter and longer than others and the type of firewood you choose to burn can greatly improve the heat efficiency of your fireplace or heat stove. No matter what type of wood is used, the best fires always start with kindling. The top and most common form of kindling is dry cedar, but you can split almost any dry wood down to kindling size. All kindling should be kept small or thin so it will light easily, but large enough for a burn that is able to fire up your regular split firewood. 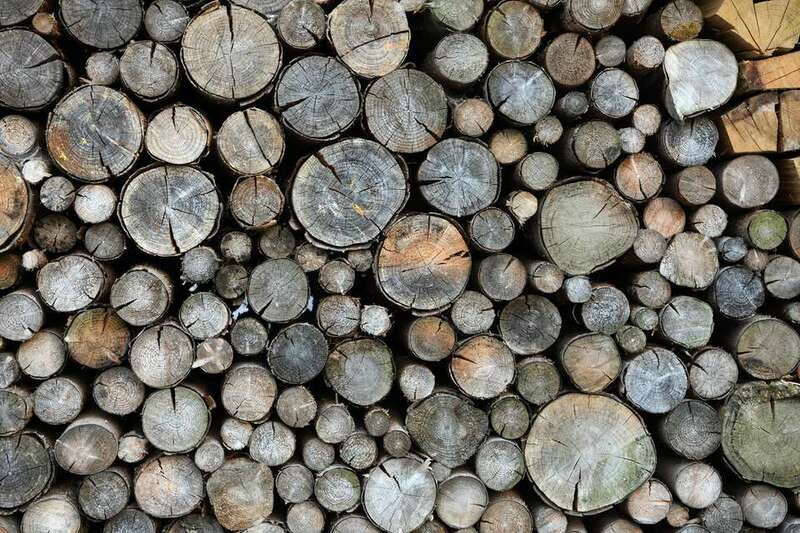 From hardwoods to softwoods, discover how to choose the best type of wood for your needs. Hardwoods such as maple, oak, ash, birch, and most fruit trees are the best burning woods that will give you a hotter and longer burn time. These woods have the least pitch and sap and are generally cleaner to handle. However, hardwoods are generally more expensive than softwoods and are more prone to leave clinkers, a hard and stony residue, in the leftover ash. If you're burning birch firewood, be aware of the thick inner brown bark called the phloem. This bark holds back a lot of moisture and can prevent the wood from drying evenly. It would be best to mix your birch with another type of hardwood for a cleaner burn and less smoke. If not maintained correctly this can create creosote, a potentially dangerous byproduct of wood combustion consisting mainly of tar that can cause chimney fires and buildup. Softwood is the cheapest type of wood you can buy. Fir is the best choice, but other softwoods include pine, balsam, spruce, cedar, tamarack, alder, and poplar. Softwoods tend to burn faster and leave finer ash compared to hardwoods. They also can be messy to handle, especially pine, spruce, and balsam as they cause creosote to build up more quickly in your chimney. You should never burn green wood as it will not produce heat—only smoke and creosote. For proper storage, you should stack your wood for efficient air circulation, top-cover only, and make sure it is thoroughly dry before burning. A good rule of thumb is to rotate your firewood, as in burning the older dryer wood first, to avoid wood rot and waste. The general consensus is that the best moisture content in firewood is around 15 to 20 percent. Lower than 15 percent and your wood will be hard to start on fire, have an inefficient burn rate and heat production, have a greater chance of creosote buildup, and increase the amount of smoke produced, creating an environmental issue. Overly dry wood will cause a fast out-of-control burn which forces you to turn down the air which can create poor burning conditions and unwanted smoke that can cause damage to both stove interiors and chimneys. Many of these will produce hazardous fumes indoors, as well as chimney emissions that would be an environmental concern. Some also pose additional risks to your stove metals or can create a hazardous build-up of creosote in your chimney. If you suffer from allergies, some woods, especially aromatic cedar, should also be used with caution. Use care and common sense when it comes to feeding your wood heat stove. Although you do need some paper to start your stove, only use enough to get the fire going. Excessive use of starter paper will just add to the creosote build-up. Safety, of course, is a major concern when operating any wood-burning appliance. Always comply with all recommended clearances and protect flooring with a fire-resistant floor pad. Make sure you have an active carbon monoxide alarm in the area and that your home is equipped with working smoke alarms.